Roma Furniture > Complete Vanity Suite In White, Right Handed. 1025x830x300mm. 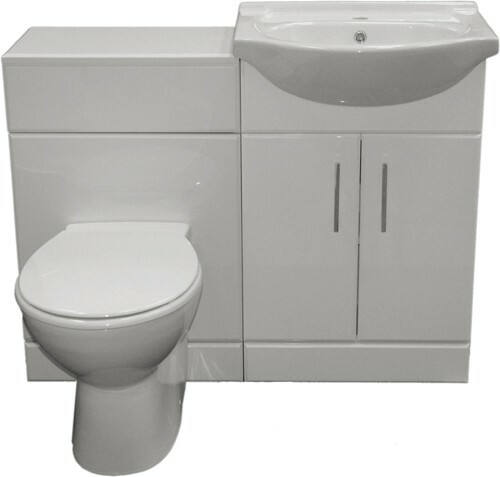 Complete right handed vanity suite with toilet, cistern, seat and basin. Size 1025x830x300mm. 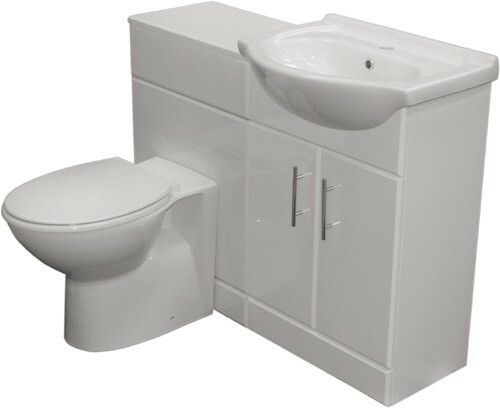 Vanity unit with one piece ceramic basin / top (550mm with 1 tap hole). 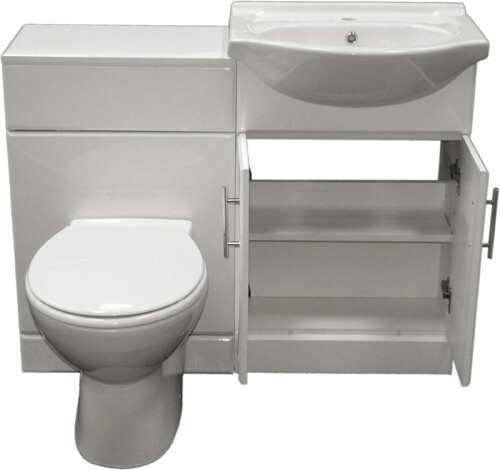 Vanity unit size: 550Wx830Hx300D mm. WC unit size: 500Wx770Hx300D mm.